Home » E! News » Is Davido Getting Broke…? We are trying to find answers as to why Davido has been making some ‘strange’ requests since the weekend, but seemingly, we are not arriving at a dead-point regarding the answers we are getting. 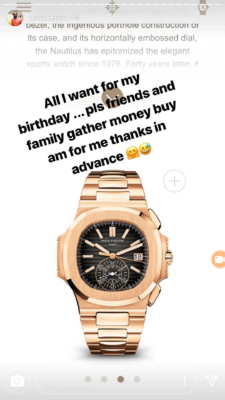 You would recall that the DMW boss begged friends and family over the weekend to get him an expensive wrist watch for his birthday. 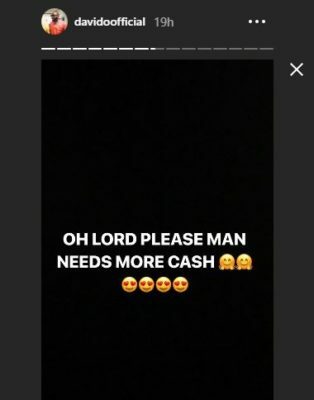 And just again yesterday, Davido took to his Insta story on Instagram to beg God to give him more money which has definitely raised eyebrows.